Please join UUCP for our service at 10:30 a.m. led by Rev. Paul Dodenhoff. 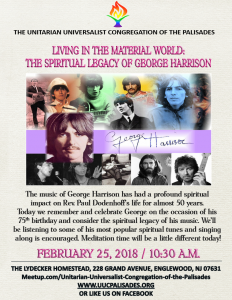 The music of George Harrison has had a profound spiritual impact on my life for almost 50 years (Rev. Paul Dodenhoff). Please join Rev. Paul today as we remember and celebrate George on the occasion of his 75th birthday and consider the spiritual legacy of his music. 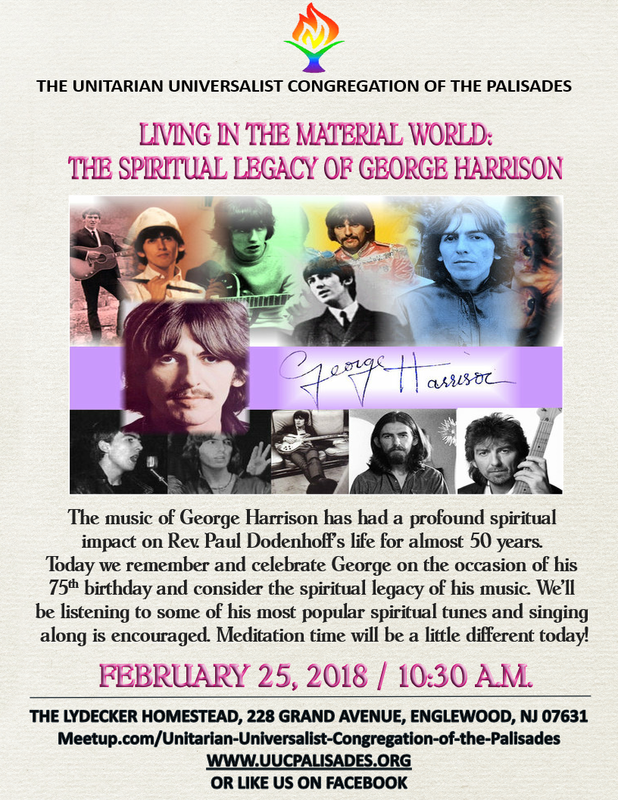 We’ll be listening to some of his most popular spiritual tunes and singing along is encouraged. And our meditation time will be a little different today!